Please join us on Wednesday August 1st, for a free public tour of Central Park's architecture, landscape architecture, and public art, new and old. Purchased in 1893, Central Park was one of Winnipeg’s first parks. 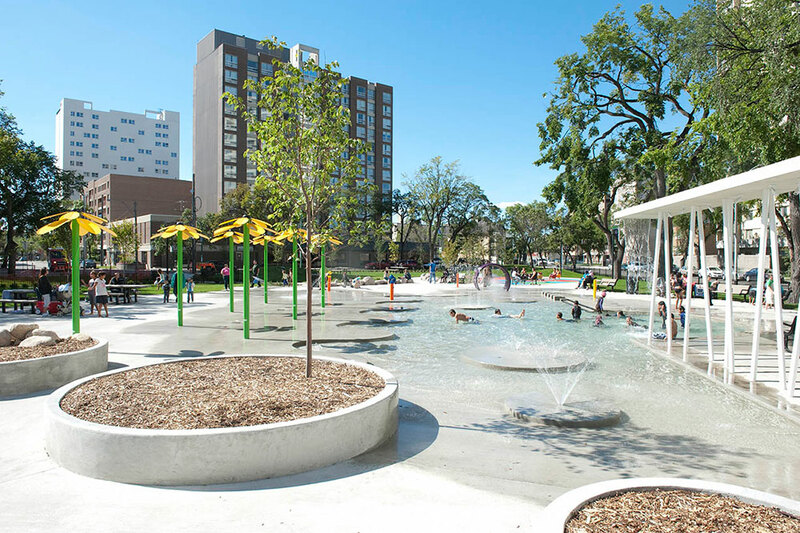 In 2008, a 5.6-million-dollar revitalization of the park was undertaken. Central Park, as you see it today, was completed in 2012 and designed by the landscape architecture firm Scatliff+Miller+Murrary. Since its reopening, Central Park has again become a vibrant urban park. We will be joined by Bob Somers, Landscape Architect at Scatliff+Miller+Murray. The tour begins at 19:00 at the Waddell Fountain (north end of the park near 400 Cumberland. This tour is free and wheelchair / stroller/bicycle accessible and is offered in partnership with the West End BIZ - Winnipeg.